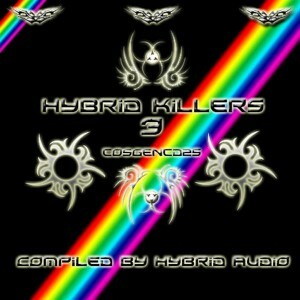 Hybrid Killers 3 is the latest installment from Cosmogenesis Recordings, one of the longest running psytrance netlabel still going strong release fresh vibes from around the world. With a mix of styles ranging from pumping progressive beats to hard energy and full-on psytrance, the spectrum is broad and fully loaded with dance floor explosive material that will boom your party into stomping mode for sure! This release gives off an enigmatic vibe that is totally fresh and utterly powerful, a vibe that is designed to send you into a dancing frenzy! Artwork by Hybrid Audio and all tracks have been mastered by various professionals from around the world. MP3 Download | FLAC Download | WAV Download · Download count: 5,219. GREAT!!!!! PLEAS LET ME PLAY IN MY SETS!!!! !